As healthcare staff in emergency departments (EDs) dealt with unprecedented patient attendance numbers over the Christmas and New Year period, the British Red Cross declared that the NHS was facing a ‘humanitarian crisis’. What are the realities of emergency department pressures? Mike Adamson, chief executive of the charity, said his organisation had been asked to support front-line and ambulance services delivering direct care and assisting with the movement of patients. The media regularly report on long waits in EDs for hospital beds, sometimes citing 30-hour delays. These reports can be scary and I fear that at least some are done for effect. In reality, the patient is in a bed, just still in the ED. There, the patient is visited by the specialty receiving doctor, who documents the care they require, writes a prescription and plans the necessary investigations. So, while the patient is waiting to be transferred from the emergency department, their care is not delayed. A patient who has been referred to orthopaedics or is awaiting a wound wash-out in theatre can begin intravenous antibiotics in the ED. The patient is in a bed having analgesia, receiving fluids, is fasting, as well as receiving wound care. So capacity issues do not mean care is put on hold. Patients may not have been moved to a ward, but they are receiving directed, documented, prescribed care by the accepting clinical speciality as soon as clinical speciality ownership has been agreed. The Royal College of Emergency Medicine (RCEM) position statement in November states that speciality teams must take ownership of patients from the point of referral. 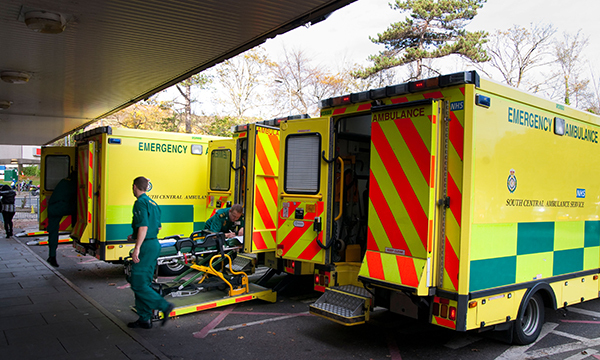 Reflecting concerns about clinical responsibility for patients in an ED, the RCEM said that patient safety and continuity of care are priorities and speciality clinicians must offer the same care to all patients under their care, regardless of location. All nurses working the emergency department know that a patient is a patient, regardless of who has clinical responsibility for them. Patients should be assured, while location may be an issue in the hospital, care is never compromised by the emergency nurse.